We provide commercial plumbing services to businesses in the Toronto as well as Greater Toronto Area. We are licensed and insured and have worked for many businesses such as food outlets, restaurants and more. Our reputation is stellar, and we have many long-term clients who we have built relations with. We can handle any kind of commercial plumbing project. We provide plumbing services to restaurants in Toronto. We have many years of experience working on plumbing projects for restaurants. We can do it all, from repairs to installations to services like grease trap interceptor. Do you want to update your office or store with plumbing fixtures? Maybe you’re building from scratch or want to add to an existing space. If so, then contact us because we can handle everything for you. This includes installing sewer lines, water lines, kitchens and bathrooms to name a few. 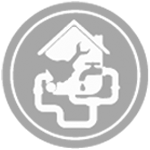 We can improve your property’s pipes by repiping them, and this can increase their efficiency. Not only that, but this will help prevent future leaks. We also provide general repairs and upgrades to offices, stores and restaurants and more. You can count on us providing your plumbing system with the maintenance it needs. Plus, we can catch small problems before they turn into serious issues that can cause a lot of damage. The more damage there is to repair, the more it will cost you, hence a preventative maintenance program is something you should have. We have been servicing condos of all sizes in Toronto and the greater area for a very long time, and these services include drain cleaning, flushing, installing fixtures and sump pump repairs. It also includes booster heater installs, riser pipes repairs and replacements. In short, we can do it all when it comes to plumbing systems inside condominiums. Also, we can re-pipe mechanical rooms. We can power wash grease that may be inside the vertical stacks of the kitchens inside condos. If you need plumbing done on your condominium building, then give us a call. We work alongside property managers. We do this because we want to make sure they get exactly what they want. This means reliable, high quality and affordable commercial plumbing services for their condos. We offer emergency services, which means we have a team of experts available around the clock, to ensure your drains are working properly. The last thing anybody wants is their drains backing up and creating a massive mess, which is why we provide fast services. We can fix clogs quickly, thanks to the powerful equipment we have access to. Not only that, but we provide various hot water solutions for commercial businesses, such as new installations of hot water systems, replacements and repairs. Do you need commercial plumbing services in Toronto? If so, then contact us right now. We are equipped to handle all plumbing projects.